Those two words were all it took to get me on a bullet train out of Tokyo. Destination: Nagano. The city name was familiar….ah yes, the 1998 Winter Olympics. 13 years ago. 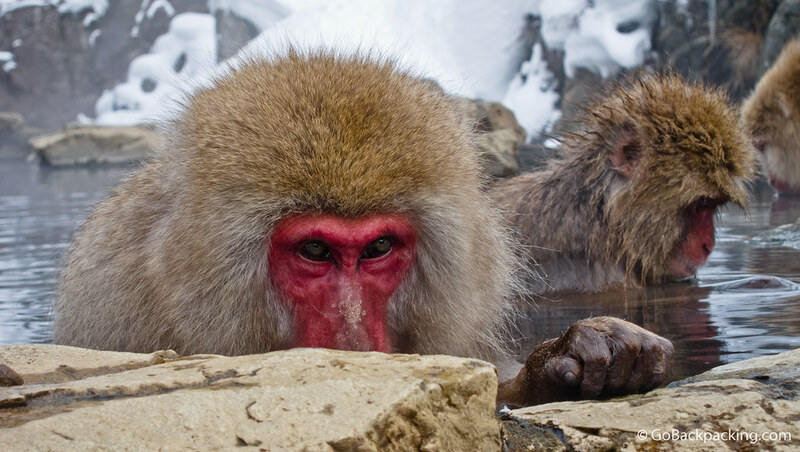 A silver lining to all the cold weather I endured in Japan during Winter was the chance to see snow monkeys, or Japanese macaque as they're formally known, in actual snow. 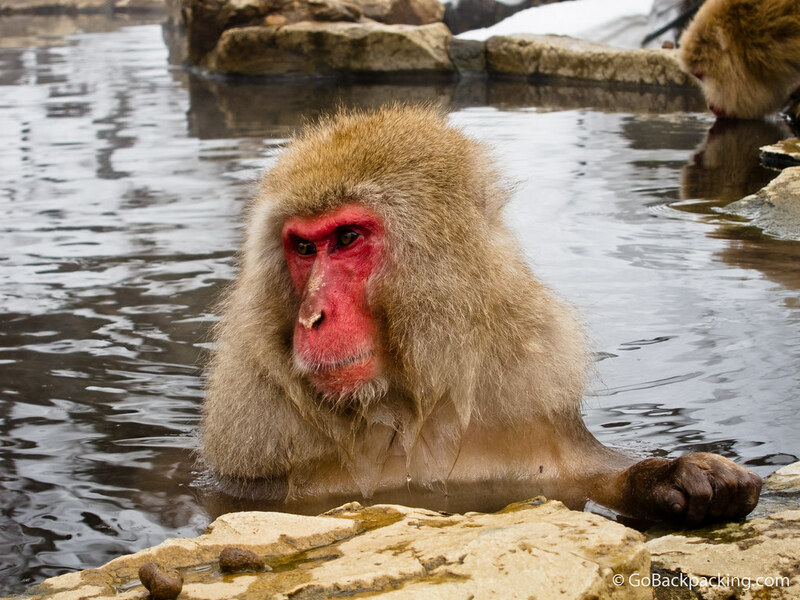 Playing, digging for food, and hanging out in a custom built snow monkey onsen. 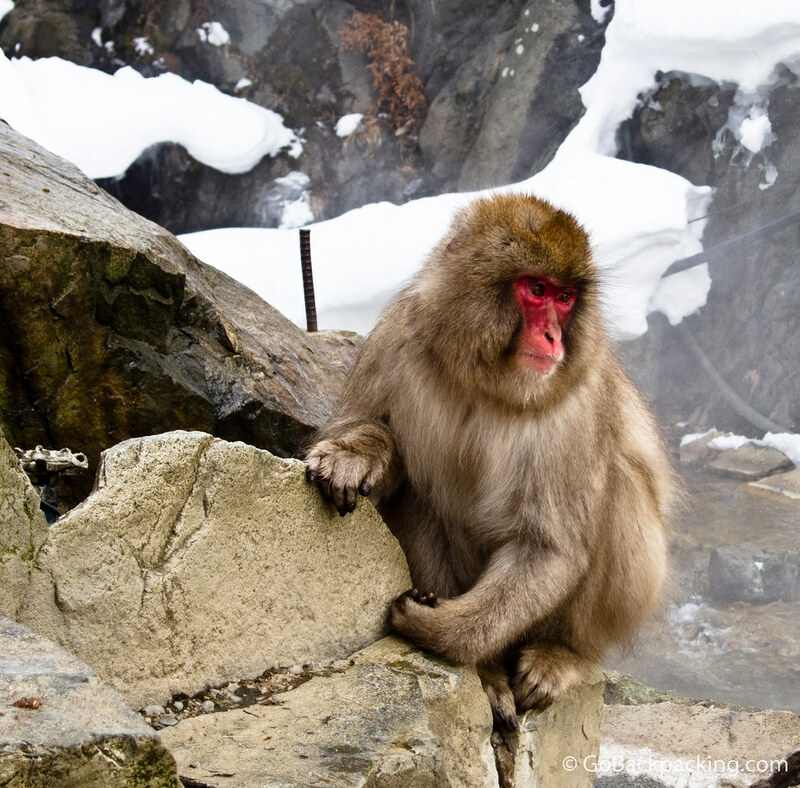 One of the adult snow monkeys, hanging around the onsen, looking serious. 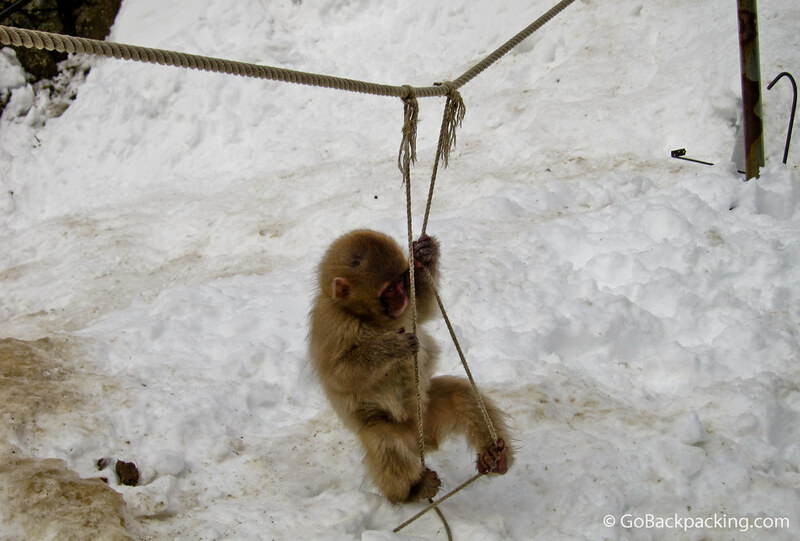 A baby snow monkey playing on the ropes. 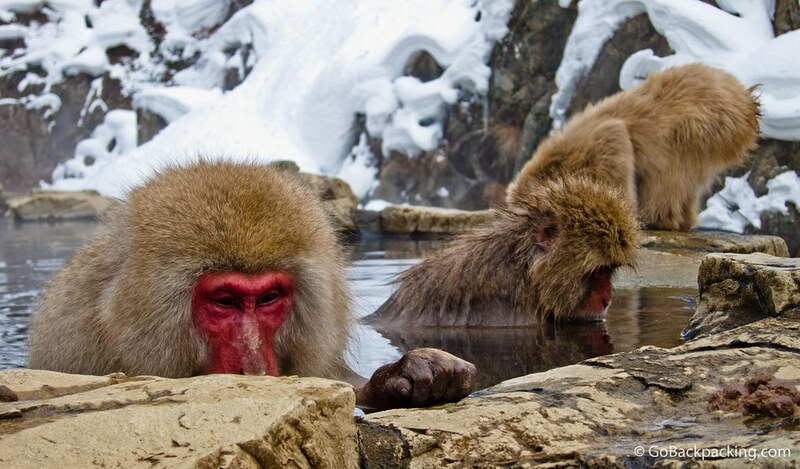 Snow monkeys drink from and bathe in the same hot spring. Several photographers had tripods set up with DSLR's just a foot or two away from the bathing snow monkeys. Their goal was to capture the eyes of the snow monkey, preferably this pose where its head is down drinking, but the eyes roll up to see what's going on. It's a little out of the way, but I highly recommend a visit to Nagano to see the snow monkeys in their natural environment. If you liked these photos, be sure to check out additional posts about Mountain Gorillas in Rwanda and Orangutan Trekking in Sumatra. beautiful photos and gorgeous animals!